Business & Industrial ads in Sydney. Thank you for visiting our free advertising website Business & Industrial, Sydney section. We provide high response free classifieds and free advertisement. Use our online free Business & Industrial classifieds placement system to find, list, offer Business & Industrial online! Website: https://astar.com.au/ Address: Suite 3, 86-88 Railway Parade Kogarah NSW 2217 Australia Phone: 1300 562 562 ASTAR Recruitment is a leading recruitment agency specialising in career placements for Temporary, Permanent and contract based roles throughout a wide range of industry sectors. An ISO consultant provides assistance to business enterprises or organizations in achieving and maintaining international standards. They help the organizations' to develop or draft the policies which are compliant to those set of standards that are defined & accepted at the international level. An ISO consultant assists the companies to change the operational techniques and procedures as per the laid quality objectives in a structured framework that effectively with the financial requirements without compromising on quality and legal regulations. In today’s competitive business landscape, savvy businesses understand that an effective Human Resources function is key to achieving success. The expectation that HR operates simply as an administrative component of business is out-dated and ultimately detrimental to performance. Unfortunately, there. Structural design basis begins with the sort of structure to be composed. For any basic configuration to initiate, we require certain information. We provide competitively priced, custom sheet metal fabrication and custom stainless steel fabrication. We can manufacture nearly anything out of steel/wood/glass. Looking for reputable builders to build your dream home? At bpsdevelopments, we got you covered from planning to construction. Take advantage of our One Stop Approach! - We have a group of industry professionals who will help you on your journey from start to finish. It will be a smooth journey to realizing you dream home. - All our projects are testaments to our attention to details and dedication to excellence as our commitment to our clients. We provide section 94 reports for council, cost estimates for construction projects, bank pre funding reports and general quantity surveying services throughout Australia' Address: 55 Brisbane St Surry Hills, NSW 2010 Phone: 0413 953 869 Website: https://www.section94.com.au/. Great Race offers team building activities, corporate activities & social group events, ... Activities In Sydney, Melbourne and Brisbane and all around Australia . Address: Tempe, NSW, 2044 Australia Phone: 1300 504 152 Website: https://www.greatrace.com.au/. Dixons Trees is the Blue Mountains' premier tree removal service. Our crew of professionals lead the way in efficient, thorough and cost-effective tree removal. From commercial land clearing through to backyard tree pruning, Dixons provides simple, cost-effective, and appropriate solutions to your tree management needs. Craving for delicious beef steak or fresh seafood? Try Fire and Ice Restaurant and Steakhouse in Manly today. We team up with highly reputable growers, fishermen, producers, brewery's wholesalers and distributors to give you the finest beef and freshest seafood available..
ProMec Engineering supply a wide Boiler Economisers. Economisers are offered with our company in various shapes, sizes, design and patterns. An Economisers is primarily built to Remove generally removed heat from the Flue Gas Supply or a Hot Air Supply and to use the restored heat for pre-heating the boiler feed water, heating water for clean down purposes or process heating. Looking for coffee shop for sale? Contact us, we offer aspiring entrepreneurs with a great franchise business opportunity with a proven turnkey system and full ongoing support. 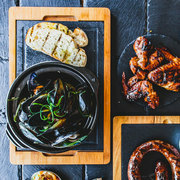 https://fibonaccicoffeefranchising.com.au/. ProMec Engineering is providing Plate Heat Exchangers that use plates to exchange heat among two fluids. It is generally preferred over standard heat exchangers as the fluids are exposed to a lot larger surface area. Thus, this technique of transferring heat significantly raises the speed of temperature change. Unist is one of the Australian lubricants manufacturers offering metal cutting oil, metal cutting fluids for steel using advanced metal cutting technology to implement Minimum Quantity Lubrication. We are a world leader in the design and manufacture of systems suited to metal cutting and metal forming operations for the industrial market. Australian-based play structure supplier and installer with 20 years experience in the playground industry. Our European structures are of the highest quality. We also provide certified rubber and synthetic grass safety surfacing. Phone: 02 9758 8933 Email: info@playparks.com.au Website: https://playparks. Fast, simple equipment finance for new & growing businesses. Low doc business lending specialist. No financials? No Worries! New ABN, bad credit specialist. Direct lender providing finance across Australia, Sydney, Melbourne, Brisbane. Please Visit: https://www.growassetfinance.com.au/equipment-finance-loan. 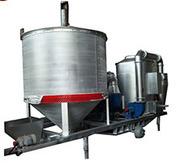 Essar Enviro Air Systems, Leading Mobile Maize Dryer manufacturer and supplier and also an exporter of seed coating machines and dryers for the agricultural and commercial food processing industries. 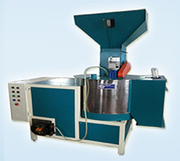 Our Company has been manufacturing seed coating machines and dryers since 2007 and is well known around the world for its high quality and durability products manufactured in Hyderabad. Cotton Seed Dryer can find in various commercial and industrial applications in various sizes with optimum functionality. useful for cottonseed, soybean, maize, groundnut and different types of pulses like chana, tuver etc. Cotton Seed Dryer Manufacturers, our range of dryers included high power and fuel efficiency is very high and with very less investment. Get the package of the month deal by Oz Labels and save $57.20 for a whole package contains 270 labels of different categories including shoes labels, stick-on labels, clothing labels, tiny pencil labels. Start your year with this month value package to go back to school with amazing customized name labels. ProMec Engineering can supply a wide range of Air Receiver Tank. Including: 3rd Party design verification if required by either ABS, DNV or Lloyds. Design and manufacture to either ASME, AS and EN standards. ASME code stamping in either 'S' or 'U' stamp can be supplied if required..
Australia free ads for Business & Industrial, Sydney, Business & Industrial free ads Sydney, Business & Industrial for sale Sydney, Business & Industrial to buy in Sydney. Find on this page free classifieds for Business & Industrial in Sydney. This listing includes classifieds for sale and to buy in Sydney. FREEADSAustralia Sydney offers you a platform to post free advertisements or classifieds for Business & Industrial in Sydney. FREEADSAustralia helps you search, find buy, sell, rent or hire in various categories like apartments, goods for sale, local services, cars , jobs and many more in Sydney. If you posted an advertisement in category Business & Industrial of FREEADSAustralia Sydney before please use Edit my ads button to change or cancel your ad. Business & Industrial Sydney ads Sydney, Business & Industrial classifieds Sydney, Business & Industrial free ads Sydney, ads for sale Sydney, ads to buy Sydney, FREEADSAustralia. Find here ads for sale, to buy and rent in Sydney. Goods for sale in Sydney, vehicles for sale in Sydney, Sydney real estate for sale, Sydney property for sale, property for rent in Sydney, business ads in Sydney, Sydney business classifieds, services in Sydney, Sydney services ads, jobs in Sydney, pets for sale in Sydney, Sydney dating, Sydney cars for sale.